If you are a fan of folk music and more specifically, train songs, then perhaps you know the song, "Hobo's Lullaby," made famous by Woody Guthrie. Hobo's Lullaby was written by Goebel Reeves. Goebel's father, Icil Burchett Reeves, was born in Albany, Kentucky on April 29, 1861. Icil went from being a traveling shoe salesman to serving in the Texas State Legislature, after his family migrated to that state in 1885. Goebel Reeves, popularly known as the “Texas Drifter,” was born in Sherman, Texas, on October 9, 1899. He was one of six children born to Icil and Alice (Tutt) Reeves. His mother was a voice and piano teacher, who taught her son to sing. Goebel began singing in the Baptist Church at an early age and also was able to play the guitar, trumpet, and piano. He was a teenager when his father was elected to the Texas State Legislature. Goebel worked there as a page. The family relocated to Austin where Goebel reportedly met a homeless man who made such an impression on him that Reeves soon became fascinated with the hobo lifestyle. While spending time around some of these homeless men, Goebel met vaudeville artist Al Wilson, who taught Reeves to yodel. In 1917, Reeves enlisted in the United States Army, where he served as a bugler. He was wounded on the front lines while fighting in Europe during World War I and was later discharged. Upon returning to the United States, Goebel began living the itinerant lifestyle that would earn him the nickname the “Texas Drifter,” writing and singing songs about traveling as a vagabond. Did the son of a Clinton County, KY native really teach the Father of Country Music, Jimmie Rodgers, how to yodel? Goebel Reeves allegedly spent time around the Father of Country Music, Jimmie Rodgers and, although there is no way to confirm it, he always claimed that he taught Rodgers how to yodel. It should be noted that Reeves time spent around trains and hobo's earned him a reputation for telling tall stories and bending the truth, so maybe he did or maybe he did not teach Rodgers to yodel, one of the things Rodgers was most known for. Goebel joined the Merchant Navy in the early 1920's and spent some time in Europe. He arrived in Galveston in 1929, and the first sound he heard was a Jimmie Rodgers record playing from a record store. Making records seemed like a good idea, so he swung up on the next fast freight for New York practicing yodels in the boxcar straw. Reeves walked into Long Island recording studio of the Gennett Record Co. and told George Keats, the manager, that he was an important recording artist from Texas. His first recordings were issued as Goeble Reeves, but that was too mundane; at all later sessions for Gennett, Okeh, and A.R.C he used a variety of pseudonyms including: The Texas Drifter; The Yodelling Wrangler; George Riley; Bert Knowles; The Broadway Wrangler; The Yodelling Rustler; Johnny Fay; The Broadway Rustler and Louie Acker. Reeves' big break came in 1931. He was invited to join the clientele of a high-class New York restaurant and clutching his guitar, in he went. Graham McNamee, an NBC announcer, introduced "The Singing Bum" to Rudy Vallée, who immediately placed Reeves on his network radio show. Reeves was a great success, and signed an NBC contract for "three and a half." Reeves, not being the world's greatest accountant, divided several meals into $3.50. But when he got his pay check he was shocked; the three and a half turned out to be $350. Reeves also performed on the Grand Ole Opry in Nashville. Throughout the 1930's, Goebel Reeves made approximately thirty-five recordings for a variety of labels, mixing together yodeling, comedic pieces, romantic ballads and insightful hobo commentaries. Following World War II, Reeves, by this time a recluse, rarely ever performed in public. During the 1950s, he developed heart problems, and on January 26, 1959, he died of a heart attack in a hospital in Long Beach, California. He was buried in the Veteran’s Cemetery there. 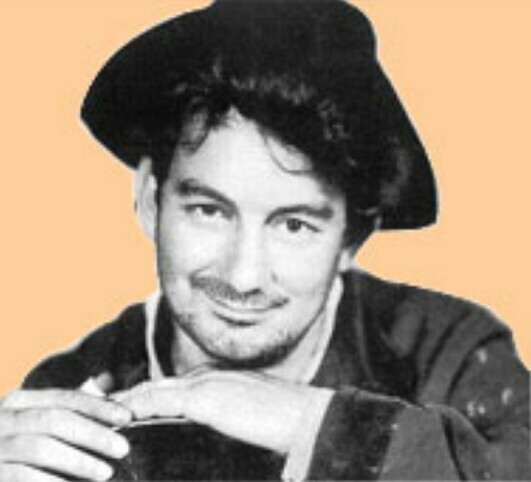 In the decades following his death, several albums of his recordings were released, including "Goebel Reeves — Hobo’s Lullaby" on the Bear Family label in 1994. A sampling of Goebel Reeves' recordings can be found on the third CD of a four-CD set released in 2005, "Sounds Like Jimmie Rodgers," on which Reeves sings 19 songs. Goebel Reeves has many relatives both living and buried in Clinton County, Kentucky. His paternal grandfather, Edward Prothero Reeves II, died on May 6, 1841 and is buried beside his wife, Susan Pierce Reeves, at the Griffin-Lee Cemetery at Static. His maternal grandfather was Icil Burchett, who was killed by guerillas during the Civil War in 1862. Icil and his wife, Elizabeth, are buried at Icil Burchett Cemetery at Cartwright. Credit for this story goes to the Texas State Historical Association.